This would halve emissions from livestock and better management of manure would enable further cuts, according to the study published in the journal 'Nature' on Wednesday. LONDON: Cutting down meat consumption and adopting a more "flexitarian" diet that includes more plant-based products could help combat some of the world's biggest problems including emission of green house gases, according to a study by the UK scientists. 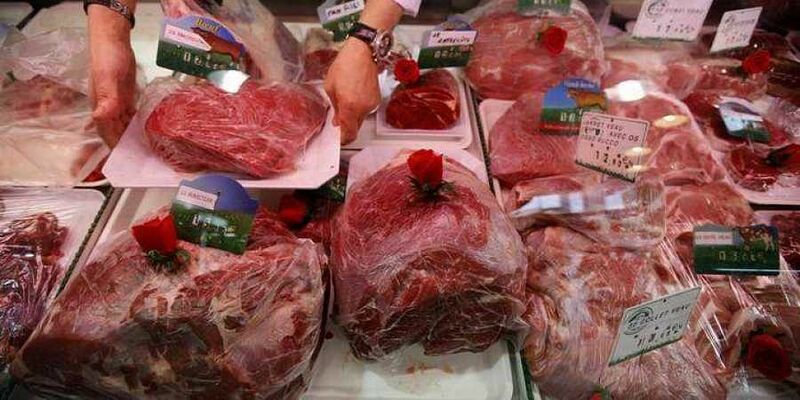 Titled "Options for keeping the food system within environmental limits", the study says that cutting down on red meat is one of the key steps towards a sustainable future for all in 2050 and that food waste will need to be halved and farming practices will also have to improve. A flexitarian diet means the average world citizen needs to eat 75 per cent less beef, 90 per cent less pork and half the number of eggs, while tripling consumption of beans and pulses and quadrupling nuts and seeds. "We can eat a range of healthy diets but what they all have in common, according to the latest scientific evidence, is that they are all relatively plant based," said lead author Dr Marco Springmann from the University of Oxford. The study notes that if the world moved to this type of flexitarian diet, greenhouse gas emissions from agriculture would be reduced by more than half. According to the authors, the food system has a number of significant environmental impacts including being a major driver of climate change, depleting freshwater and pollution through excessive use of nitrogen and phosphorous. The study said that people can move from a diet that has small amount of animal products to a vegetarian or vegan diet. "You can go from a diet that has small amounts of animal products, some might call it a Mediterranean based diet, we call it a flexitarian diet, over to a pescatarian, vegetarian or vegan diet," Springmann said. "We tried to stay with the most conservative one of these, which in our view is the flexitarian one, but even this has only one serving of red meat per week," he said. The research says that farming practices need to change significantly. This involves boosting yields from existing cropland, improving water management and restricting and recycling fertiliser use. "Feeding a world population of 10 billion is possible, but only if we change the way we eat and the way we produce food, said Prof Johan Rockström at the Potsdam Institute for Climate Impact Research in Germany, who was part of the research team. "Greening the food sector or eating up our planet: this is what is on the menu today," he said. Their research is believed to be the most thorough to date as it combined data from every country to assess the impact of food production on the global environment. It then looked at what could be done to stop the looming food crisis and tackle the earth's problems such as water scarcity, climate change and pollution. The new study follows the publication of a landmark UN report earlier this week. In the report, world's leading scientists called for eating less meat as they warned that there are just about 12 years in which to keep global warming under 1.5C, beyond which even half a degree will significantly worsen the risks of drought, floods and extreme heat.